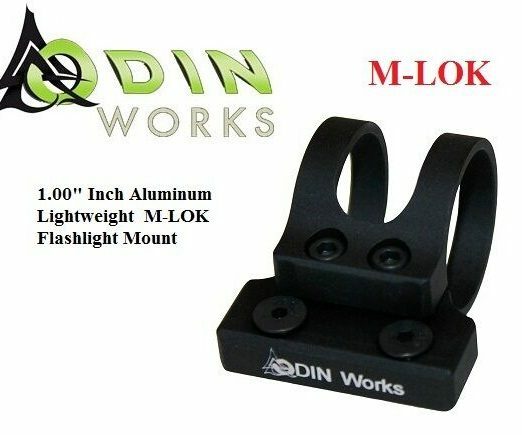 WE OFFER SUPER FAST & FREE SHIPPING & HAVE EXCELLENT FEEDBACK !! 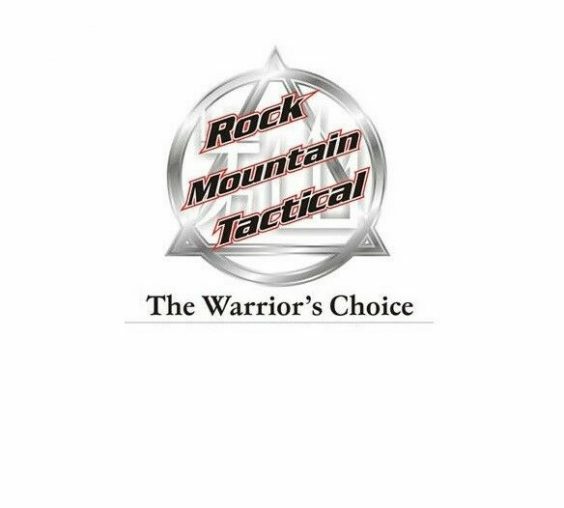 !Please visit & browse our entire eBay Store at Rock Mountain Tactical for high quality adventure gear & firearms’ accessories !!! 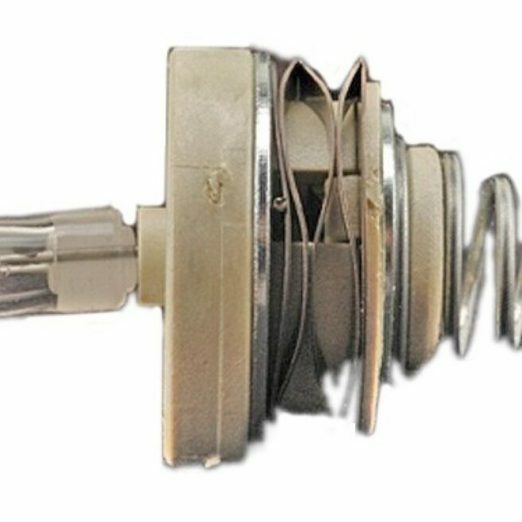 *** We are authorized THYRM dealers since the beginning. 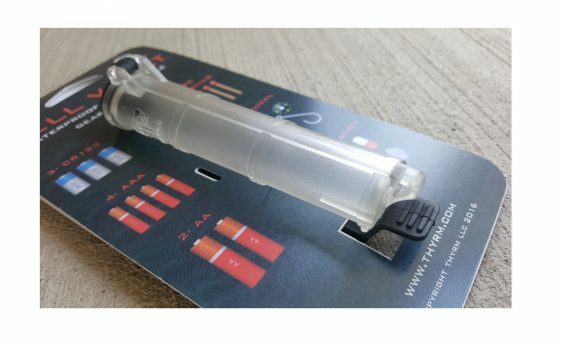 Beware of unscrupulous sellers on the net offering fakes / counterfeits of THYRM products. 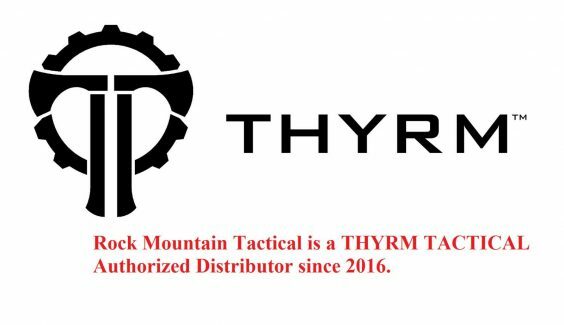 *** Make sure you are buying from an authorized THYRM dealer so you get the real thing that is made to last, not cheap fake junk !! 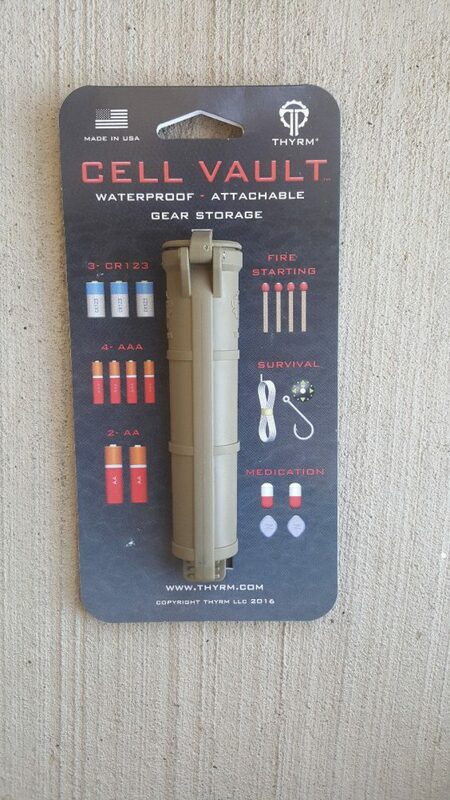 !The THYRM Cell Vault protects batteries & other critical gear while keeping it accessible and organized. 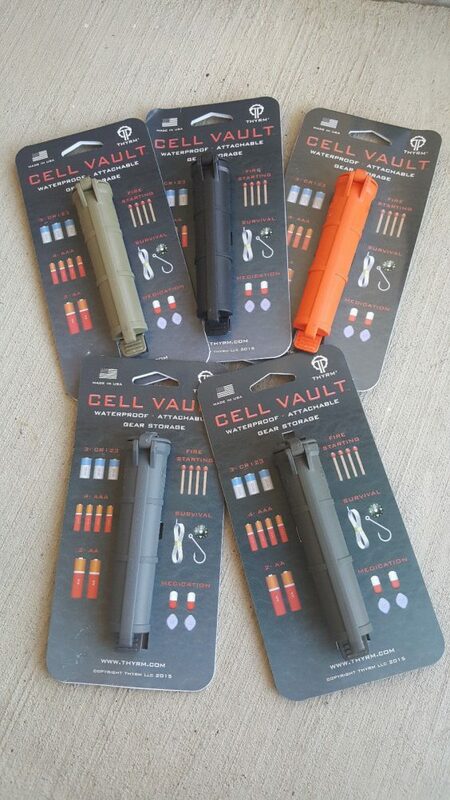 The integrated webbing clip allows you to access the Cell Vault’s contents without removing it, or you can quickly detach it for more control.Listing is for (1) Thyrm Cell Vault of your choice, see drop down menu for in stock colors!! 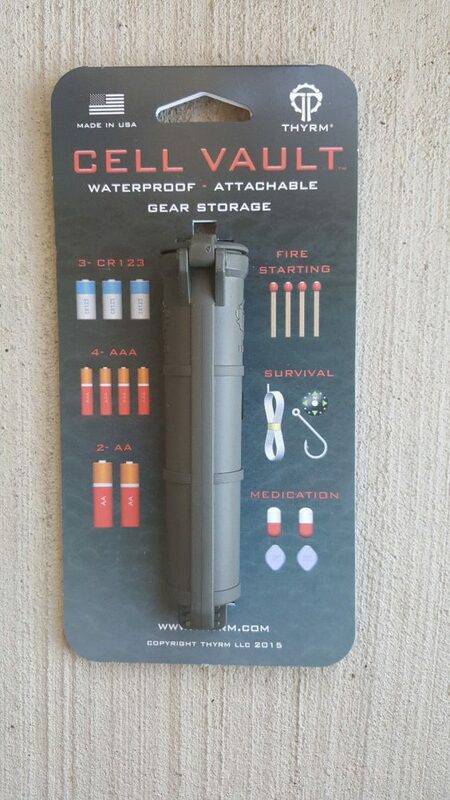 !Designed to carry batteries, survival supplies, personal meds, as well as any other items your imagination can come up with. 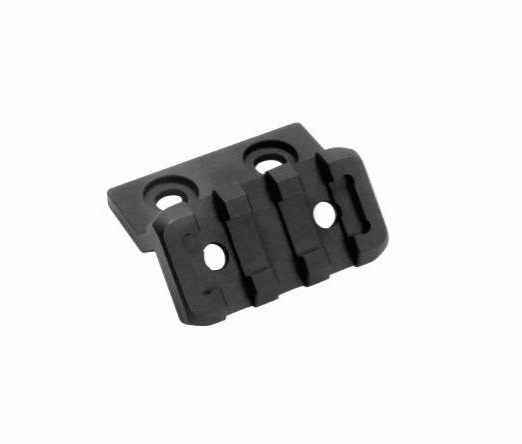 The Cell Vault easily attaches to MOLLE, PALS, webbing & and other straps, as well as features lanyard loops at both ends for security & more attachment options. 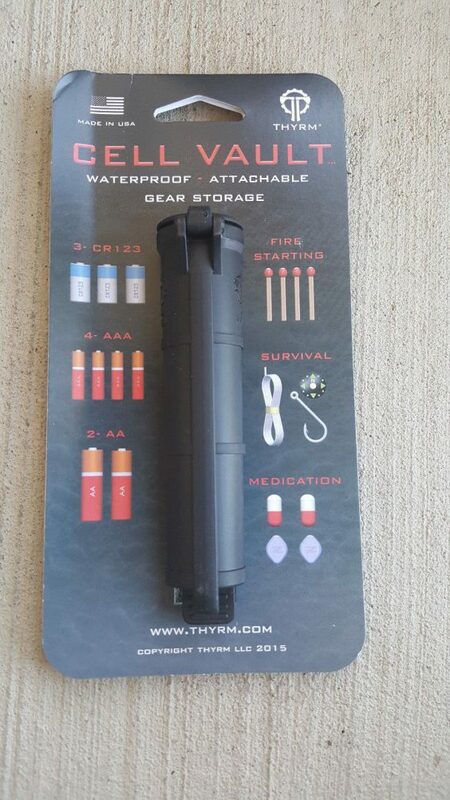 The Cell Vault features a slim, vertical profile that utilizes less than (1) MOLLE webbing column, giving you more room for other gear including first aid kits, ammo & tools.Approximate Size: 5″ Long x 1″ Diameter (oval) Approximate Weight: 1 ounce The Cell Vault’s slightly decreasing diameter can keep CR123 batteries at the bottom of the Cell Vault secure even when the Cell Vault is inverted. 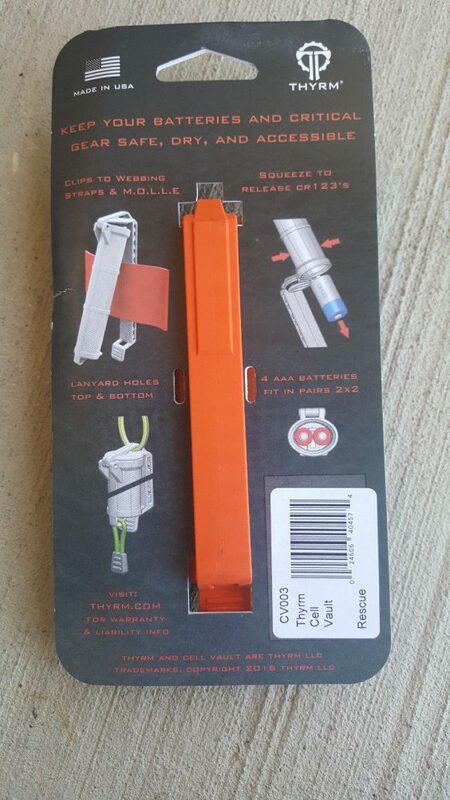 Just squeeze the sides of the tube to release CR-123s in the middle or bottom of the Cell Vault. 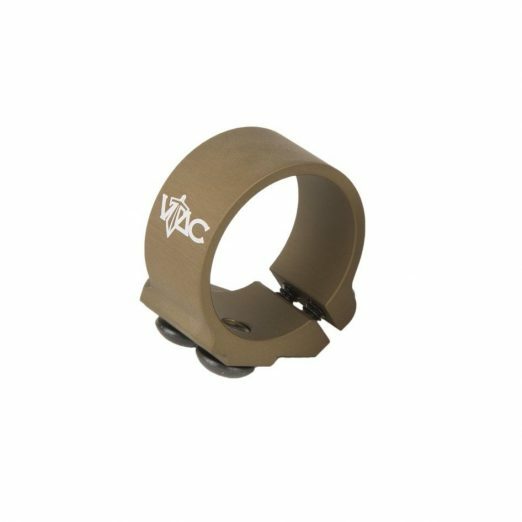 The Cell Vault’s waterproof, dustproof, durable exterior keeps your essentials safe & easily accessible, keeping you prepared for whatever comes your way. 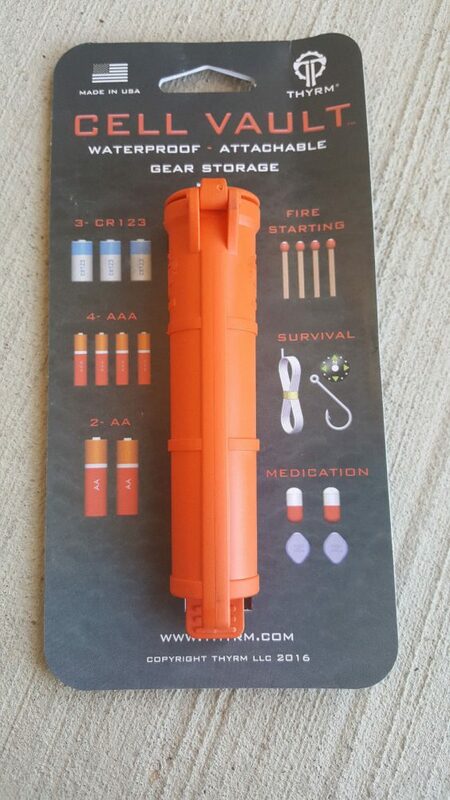 (1) Cell Vault can store: • Three CR123 batteries • Four AAA batteries • Two AA batteries • Small survival gear, such as matches & tender, hooks & line, light stick, iodine tablets, a compass or lip balm. • First aid gear including hemostatic clotting agents, tweezers and bandages • Consumables*** (see note below), such as personal medication, instant coffee packets, electrolyte powder, candy, etc, etc, etc. 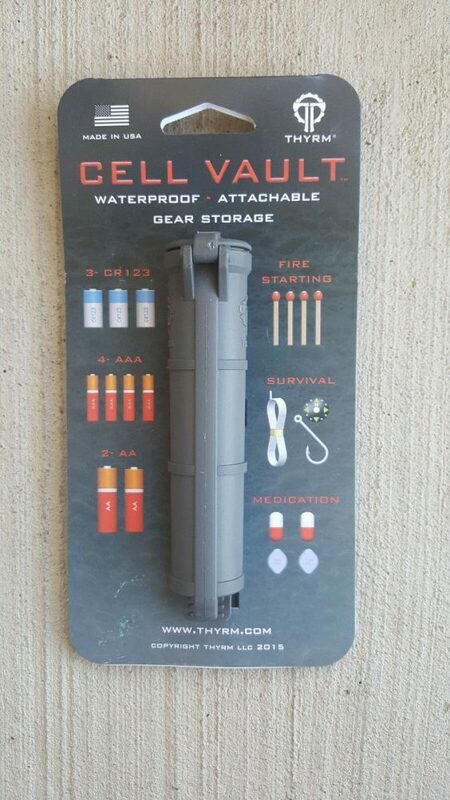 • Emergency money and a Flash Drive • Cigar / Cigarettes / chewing tobacco *** BE ADVISED: If you plan to store consumables (medication, snacks) in the Cell Vault, wash it thoroughly & consider using a food-safe plastic bag. 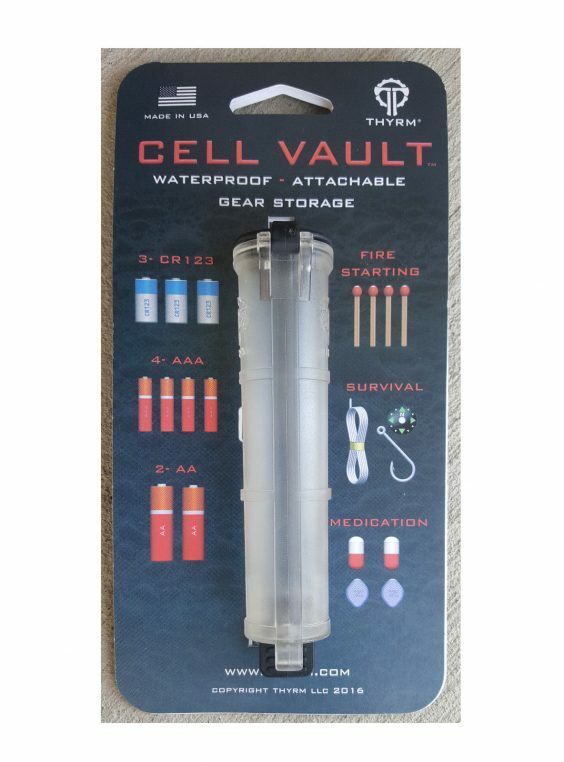 A test tube brush or bottle brush can be used to clean the Cell Vault & it is made with food-safe thermoformed plastic.We carry the full line of THYRM gear… Any questions? Please ask. THANKS AGAIN for LOOKING!